E15 Initiative | Focusing on investment facilitation: Is it that difficult? E15 Initiative | Focusing on investment facilitation: Is it that difficult? Focusing on investment facilitation: Is it that difficult? Discussions related to the feasibility of establishing a common framework on investment facilitation are important, where flows of foreign direct investment (FDI) are needed in order to mobilise resources for development. In this article, the authors argue that although the debate on investment facilitation is already on the WTO’s menu, a clearer picture of what investment facilitation in general actually means has yet to be developed. Following a review of actions to date in international organisations and on behalf of governments to build cooperation on investment facilitation, the authors weigh up various approaches to tackling the issue. Facilitating FDI flows is important, to mobilise resources for development. For this reason, Brazil is concluding bilateral investment treaties that put investment facilitation at the core. This is reflected in the very title of those instruments – Cooperation and Facilitation Investment Agreements. Broader discussions related to investment facilitation and exploring the desirability and feasibility of establishing a common framework in this respect are, therefore, important. Such a framework was suggested by the E15 Task Force on Investment Policy. Several international organisations have since prepared formal and informal contributions that try to define investment facilitation. For instance, the United Nations Conference on Trade and Development (UNCTAD) published a discussion note on “Investment Facilitation and Promotion: A Global Action Menu” that guided the work on investment facilitation during the Chinese Presidency of the G20 before the issue was withdrawn from discussion, only to be reintroduced during the current German Presidency. The Organisation for Economic Co-operation and Development (OECD) also has contributed to the discussion, and a useful working document — “Towards an International Framework for Investment Facilitation” — was circulated among the members of its Investment Committee in which national, bilateral and multilateral investment facilitation measures were reviewed. Governments too are increasingly concerned with investment facilitation. In October 2016, India submitted to the WTO a concept note on a Trade Facilitation in Services Agreement (TFS). The submission recognised that the Trade Facilitation Agreement (TFA), adopted by WTO members in 2014, was a significant milestone in relation to trade in goods and suggested that there is need for a counterpart agreement in services that can foster the reduction of transaction costs associated with unnecessary regulatory and administrative burdens on trade in services. The concept note was followed in November 2016 by another contribution focusing on possible elements of a TFS. Finally, on the same day the TFA entered into force, 22 February 2017, India submitted a draft legal text of a TFS. Against this background, India’s proposal moved discussions to the next level: by putting forward legal language encompassing “commercial presence” (“Mode 3” in the parlance of the General Agreement on Trade in Services), the TFS represents, de facto, a proposal on investment facilitation, even though it is confined to the services sector. Still, although the debate on investment facilitation is already on the WTO’s menu, a clearer picture of what investment facilitation in general actually means has yet to be developed. It is hoped that the WTO Informal Dialogue on Investment Facilitation, initiated in May 2017, could contribute in that respect. Perhaps one of the most appropriate ways of tackling this concept is by means of a negative approach, i.e. by clarifying what is outside the scope of facilitation. In this regard, it is clear that facilitation does not include market access, investment protection and investor-state dispute settlement. In other words, if any multilateral effort in this area is to succeed, it should be strictly circumscribed to the issue of facilitation only. agendas for less-than-multilateral cooperation on selected issues, enabling interested countries to discuss topics that are only relevant for a specific region, for instance. The Indian proposal raises the issue of whether, from a public policy perspective, it makes sense to improve domestic institutional arrangements or to adopt regulatory measures to facilitate investment in services only, and not investment in general. Therefore, serious consideration should be given to the establishment of one common framework encompassing investment facilitation in general, i.e. for both services and goods. A comprehensive approach is even more important in a situation in which the distinction between the provision of services and the production of goods is progressively blurring — the so-called “servicification” of the production of goods. By focusing discussions strictly on investment facilitation, there can finally be a constructive and effective approach to the issue of investment, avoiding the controversies of the past regarding possible multilateral rules for investment protection and dispute resolution. In this regard, the recent contributions by the Russian Federation; Brazil and Argentina; China; and the Friends of Investment Facilitation for Development to the discussions in the WTO stress that the relevance of this discussion is not purely academic. Rather, it is highly political and will have important consequences for the future work of the WTO. This article was first published in Columbia FDI Perspectives, No. 202, 19 June 2017. 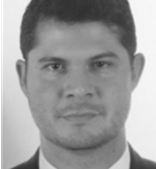 Felipe Hees is Counsellor at the Mission of Brazil to the WTO in Geneva. Pedro Mendonça Cavalcante is Secretary of the Trade in Services Division, Brazilian Ministry of Foreign Affairs. The views expressed in this piece are those of the authors and do not necessarily reflect the views of the Brazilian Ministry of Foreign Affairs or the Brazilian government. Challenges in an evolving context: How to maximise the benefits of FDI?